Having a large laptop touchpad poses severe threat to typing. My touchpad is quite sensitive and whenever the lower areas of my palm touch the touchpad the pointer moves away. While the brilliant engineers at Sony designed this, it is counter-productive. And moving around with a mouse (when you have a touchpad) doesn’t see like a bright idea to me. This morning I was quite determined to fix the problem, even if it needs a hook in the driver. Turned out if your touchpad uses the Synaptics driver, you can reduce its effective area easily. There is a userspace utility to change the parameters at runtime. As you can see from the results, for me the width is 5638 and height is 4714. The arguments are self-explanatory. If you want to adjust the upper limit, use AreaTopEdge. Enable two finger scrolling for a better experience. Now you can try the hotkeys to verify that the brightness is changed as expected. If you are experiencing low volume at maximum limit on a machine with HDA controller the way to get a high volume is to reset all the raw pin settings to default. HDA Analyzer does that for you. Before moving on from here, be sure you know what you are doing. This may lead to critical unforeseen issues. HDA-Analyzer: Would you like to revert settings for all HDA codecs? N.B. : the settings are not stored across reboots on all distros. A solution is discussed here. But be very cautious. There may be side effects. My brightness keys were not working out of the box when I switched to LXDE from Unity. Though I keep the brightness constant, I still wanted to make it work in case I need to change the level anytime. I kept the range between 5 to 50 as those limits are fine for me. Here goes how I did it with simple scripts. That’s it! Just relogged-in and had functional brightness keys! You can download the scripts from here. It’s tested it on a Sony VAIO SVS13112ENB running Ubuntu 13.04 (Raring). While Unity has come a long way to silence its initial critics (I was one of them), I was still looking for an alternative desktop environment which is minimal and superfast. 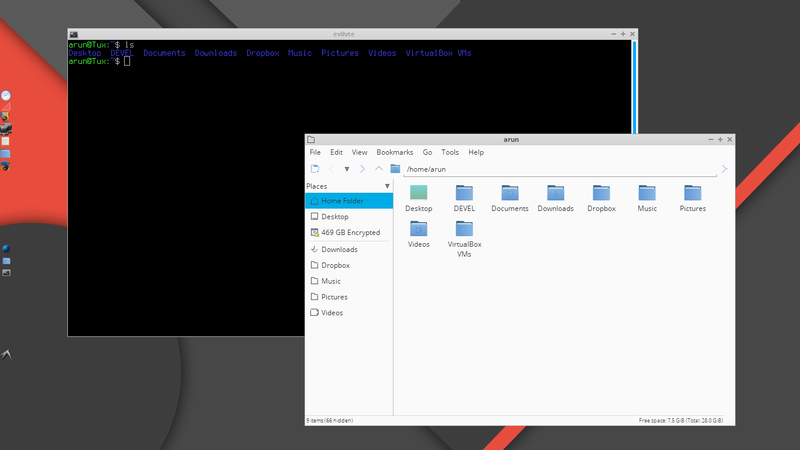 I spent the last weekend trying out and customizing the LXDE desktop environment with Openbox as window manager. To my excitement, I could get the same look and feel as SliTaz. Power tips to customize LXDE as the perfect desktop. Once done, log out and login back selecting the LXDE desktop environment. If you want a mixer pavucontrol is the best option. For more control on the Firefox Australis theme (introduced in version 29) use the HTitle or Hide Caption Titlebar Plus extension. To change or add default programs to handle mime types, edit ~/.local/share/applications/mimeapps.list. The system responsiveness and speed is incredible along with all this on LXDE. Without preload the memory usage immediately after a cold boot is 153MB and applications open and run in a snap!!! Posted on July 9, 2013 Categories HACKS/UTILSTags configure lxde ubuntu, desktop environment, sony vaio ubuntu, ubuntu hacks8 Comments on LXDE on steroids! timeout=0 means 10 seconds and that’s the default. But it doesn’t seem to work on the mainline kernel. timeout=1 works as expected. How to add kernel module parameters? How do I list loaded Linux module parameter values? 3. Assign a keyboard shortcut to execute the script whenever needed.